CHICAGO—Calling them an essential part of one’s oral health, the American Dental Association issued a statement Tuesday strongly recommending teeth. 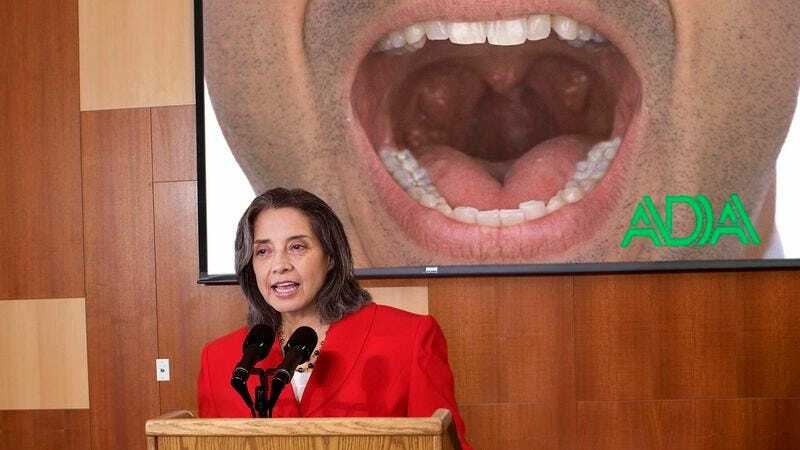 “We wholeheartedly recommend teeth for every American,” said ADA spokesperson Diane Ostroff, who added that the organization’s guidelines encouraged having teeth and firmly discouraged having no teeth. “Molars, incisors, canines—we endorse each one of them. We recommend about 20 to 30 for children and adults, though not too many for babies.” Ostroff later reiterated the ADA’s longstanding condemnation of wisdom teeth.